Gabriel: What Bears Team Are The Bills Facing? The Chicago Bears are a young up-and-coming team in the NFL North. If you look at them closely, you may see the blueprint of what the Bills want to be. I say that because a year ago they were a struggling young team with a strong defense and a rookie quarterback. They hired a new coach for this year to help with the growth of the quarterback (Mitch Trubisky) and have surrounded him with talented offensive skill players. The main difference between the Bills and the Bears is the Bills hired their new young Head Coach a year ago but otherwise there are a lot of similarities. Like the Bills will have next year, the Bears had a lot of cap space and went out and signed young players with the arrow going up. Those signings, combined with solid drafting, have made the Bears a contender in the NFC North. 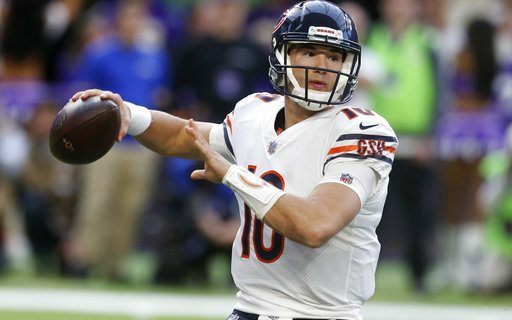 Trubisky did not get to play until game four of the 2017 season and like Josh Allen he struggled some until late in the year when he put together a number of good games. Also like Allen, he had a wide receiver corps a year ago that was one of the worst in the NFL. This year it is a strong point of the team. Trubisky has had a strong second year. 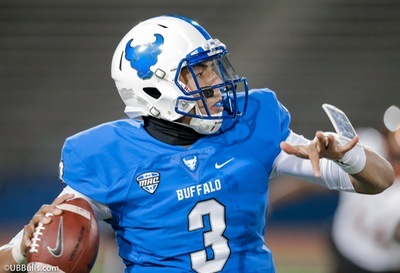 He was a bit inconsistent the first two games as he was going through the growing pains of learning a new offense but in the last month he has put up great numbers, including passing for over 300 yards in three of the last four games. He has 15 touchdown passes on the year already. In free agency the Bears signed Allen Robinson who was Jacksonville’s number one receiver and still a young player at only 25. They also singed a game breaking speedster in Taylor Gabriel, who with his 4.3 speed, can make the big play at any given time. To get a productive “move” tight end they signed for Eagles tight end Trey Burton who had experience in the offense Head Coach Matt Nagy runs. Add to that former first round pick Kevin White, who has been injury prone since the Bears drafted him, and the drafting last April of Memphis standout Anthony Miller and the Bears wide receiver corps went from a weak one to a strong one. In this week’s game, Robinson may not play because of a groin injury. The Bears felt good about their offensive line and only drafted one player this year to add to what they already had. That player is center/guard James Daniels from Iowa who is now starting at one of the guard positions. The center is Cody Whitehair who was a tackle in college while the tackles are veterans Charles Leno and Bobby Massie. At running back the Bears play two players who complement each other very well. The lead back is Jordan Howard who is in his third year and has run for over 1000 yards in each of his first two seasons. The other back is second year man Tarik Cohen who is small (5’6 – 184) but fast (4.40) and as dangerous an open field player as you will find. The Bears use Cohen as both a running back and a slot receiver and does for the Bears offense what Tyreek Hill does for Kansas City. Get Cohen the ball in space and he’s gone. As productive as the offense has been for the Bears this year, it’s the defense that is the heart and sole of this team. The Bears play a base 3-4 but are seldom in that base scheme. For the most part they play with two down linemen and two edge pass rushers. The down guys are Akiem Hicks who is having a Pro Bowl type year and Eddie Goldman. Hicks can play the run or rush the passer form inside while Goldman is more of a run stuffer. On the edge is former UB star Khalil Mack who the Bears acquired the week before opening day from the Raiders. Mack dominated in the first four games but them sprained an ankle and played sparingly versus New England and did not play last week against the Jets. He is listed as questionable for the Bills game. Opposite Mack is former first round pick Leonard Floyd who has not played up to expectations and doesn’t have a sack this year after recording seven a year ago in just 12 games. The Bears two inside linebackers never come off the field as both can play the run or drop into coverage. Danny Trevathan and Roquan Smith lack great size (6’0 – 235) but are very fast and instinctive, they are the Bears leading tacklers coming into this week’s game. Smith was the Bears first round pick this past April. The secondary is young but experienced. The corners are former first round pick Kyle Fuller while 2017 free agent signee Prince Amukamara lines up on the other side. The safeties are two Bears draftees in Arian Amos and Eddie Jackson. Neither was a high pick as Jackson was a fourth and Amos a fifth rounder. The secondary as a whole is very physical and have good ball skills. To date the secondary has recorded eight interceptions this season. How Do The Bills WIn? How do the Bills beat the Bears? I say this every week but it’s true. The Bills are undermanned and need to play the perfect game. They have to run the ball to use up time and score at every opportunity. The Bears can score quickly with their offense and so it’s imperative that the Bills control the clock. On defense, the Bills need to pressure Trubisky. Early in the season he was bothered by blitzes though he has improved greatly with reading blitzes and getting the ball out of his hand. Unless the Bills play that perfect game. The Bears could win this by 14.